Starting 300 years ago, canals in Europe were important ways to get goods to market. Before the railroads arrived, canals connected cities and cultures together, like an early internet. Today, many of the barges that once carried cargo along these waterways have been converted into floating luxury hotels. Instead of seeing the countryside through a bus window with 50 other people, travelers can book passage on a canal boat and laze their way along one of these ancient canals at a stately 3 mph. Or if you prefer, you can get off the boat to walk or bike alongside on the tow path. 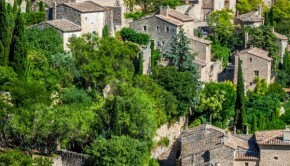 Most days, tours to nearby castles or wineries are available. Don’t worry. Your canal boat home won’t have gone very far when you are done. 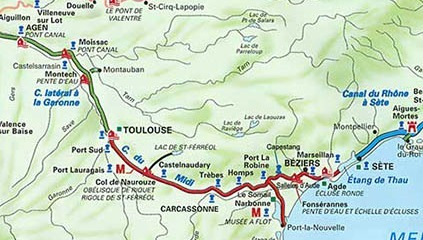 In France, the Canal du Midi provided a valuable short cut from the Mediterranean to the Atlantic that avoided the British stronghold of Gibraltar. Napoleon ordered that sycamore trees, known in French as Plane trees, be planted along the banks of the canal to keep the water from evaporating and to strengthen the banks. 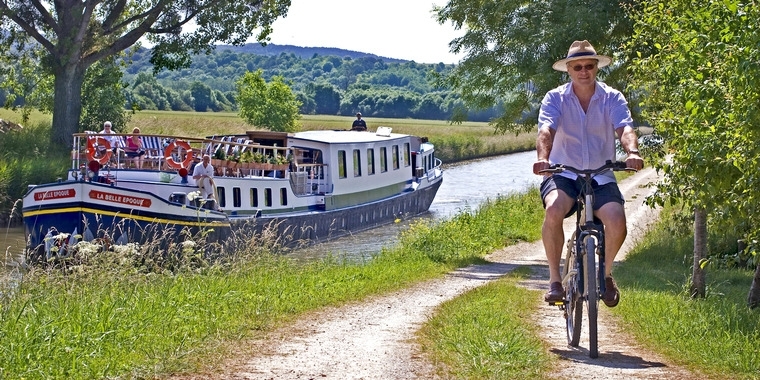 Today, the same system of locks that lifted and lowered the boats back then is in use today for the canal boats that make their way along the canal from Marseilles to Toulouse. 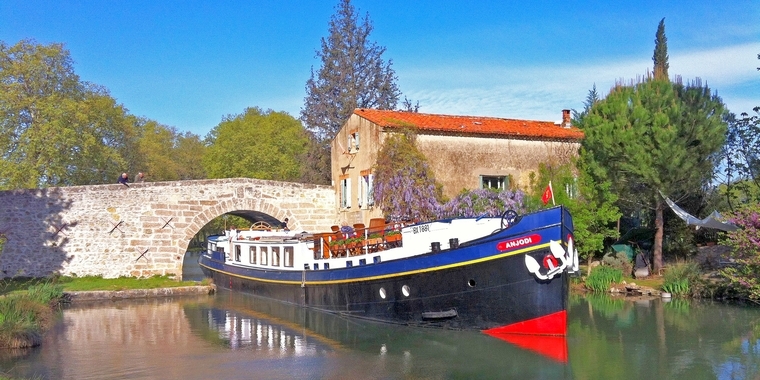 The famous Agde lock near Marseilles is unique. 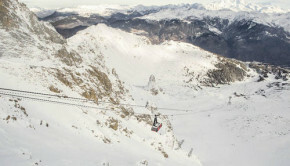 It is round and has three entrances, allowing boats a choice of two routes to the Mediterranean. 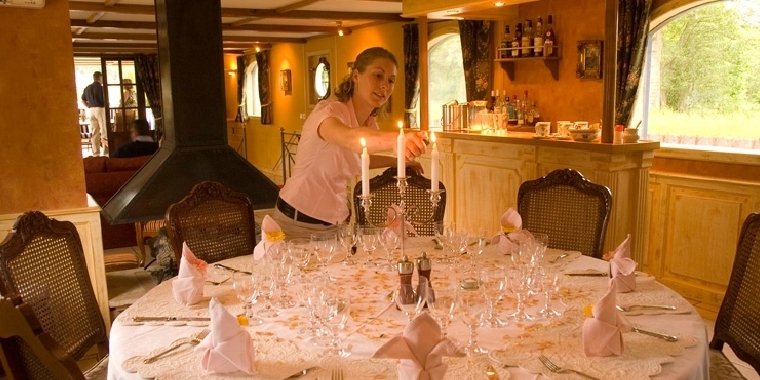 Life aboard a canal boat is as slow paced as the water around it and focuses on gourmet meals prepared on board from local ingredients and excellent wines from the very wineries in the area. 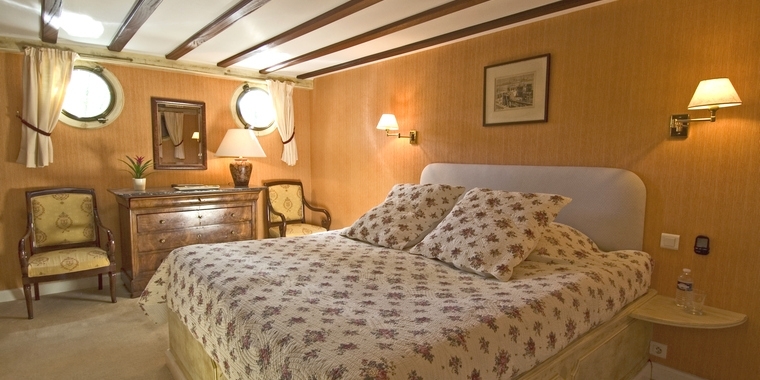 Accommodations are equally luxurious and feature well appointed cabins with comfy beds and all the amenities. 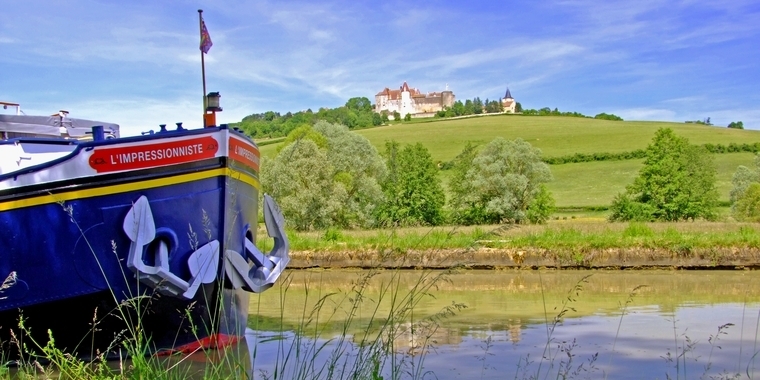 Typically, a canal boat can accommodate 8 to 12 passengers and a professional crew of 4. 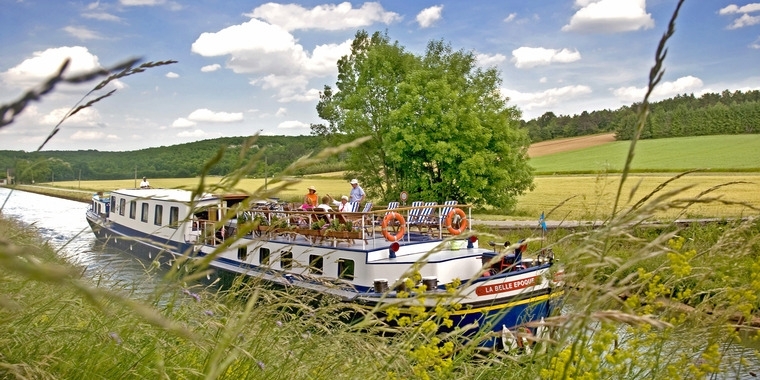 After a week on the canal, those on board often find they have formed lasting relationships and fond memories of seeing the beautiful French countryside at such a relaxed and leisurely pace. 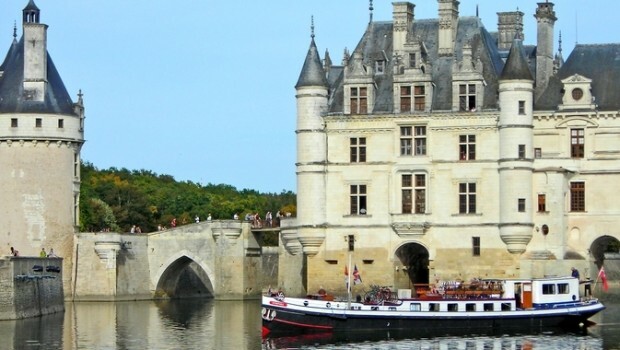 European Waterways offers a wide assortment of canal and river cruises throughout Europe and the UK. Rates vary depending on the season, so check their website for the dates and prices that best meet your travel needs.